What do you do when you have an extension with a leaking roof, shabby decor and poor layout? Redesign it, of course! That’s what these clients did to their semi-detached home in Berkhamsted, leaving them with a much more enjoyable living space. 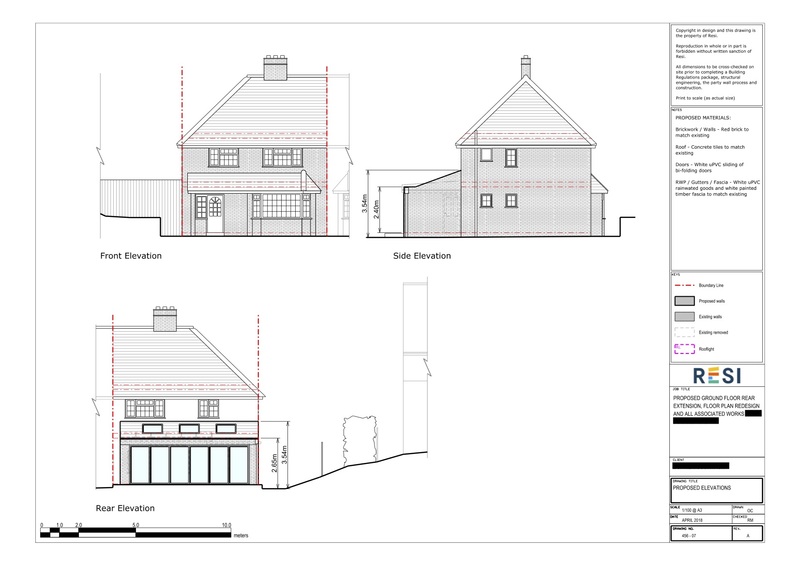 This project was carried out under a Lawful Development Certificate (meaning the homeowner was operating under their permitted development rights), which was granted on 9th August 2018. Our client was looking to remove their existing rear extension on their property, as it was in poor condition and needed repairs, and replace it with the same dimensions. The new extension needed to allow for plenty of natural light. 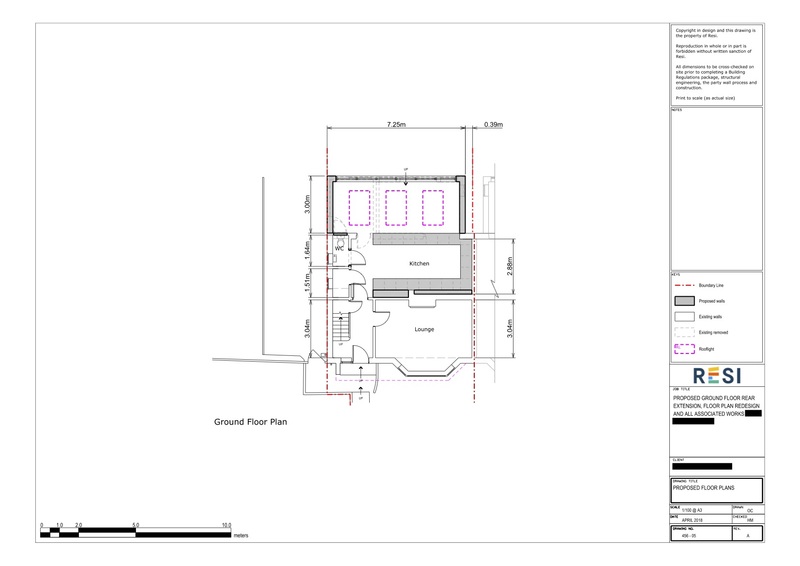 I designed a ground floor rear extension that would replace their current extension, with the same footprint. This design incorporated a very large, open plan kitchen and dining area, so that our clients could entertain friends while cooking up a storm. To ensure this room was filled with natural light, I added three skylights to this extension, with floor to ceiling glass doors across the rear.